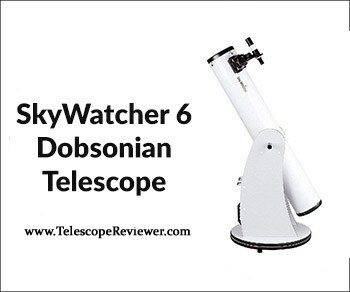 With their impressive size, high-quality optics, and easy-to-use altazimuth mount, SkyWatcher Dobsonian telescopes are easy enough for serious beginners, but powerful enough for the dedicated hobbyist. They’re less portable than tripod-mounted refractor telescopes due to their size and weight, but this also makes them much more suitable for finding faint, deep space objects like nebulae. Our SkyWatcher 6 Dobsonian Telescope Review focuses on the main specs, features, pros, and cons of this telescope, as well as its performance, accessories, and warranty information. What Is the SkyWatcher 6 Dobsonian Telescope? The SkyWatcher 6 Dobsonian is a Newtonian reflector telescope on a Dobsonian altazimuth mount. You can’t beat a “dob” for deep space viewing, since they rely on mirrors to collect the faint light that the lenses of refractor telescopes can’t quite process. This particular Dobsonian mount uses Teflon bearings and a unique tension clutch design to make star-hopping simple. These scopes are favorites for first-time users and experienced stargazers alike, but be prepared for a hefty piece of equipment with some assembly required. This telescope arrives in two boxes, one with the optical tube and one with the mount, with a combined weight of nearly 60 pounds. What it lacks in portability it makes up for in power— its greatest practical magnification is 300x! 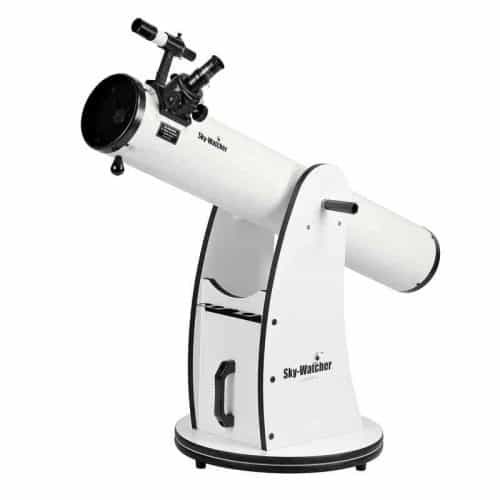 While you can purchase this telescope from a range of online retailers, including Amazon, you can also order directly from High Point Scientific, since they offer price match guarantees, same or next-day shipping, a 30-day money back guarantee, and free unlimited tech support for life. Since Newtonian telescopes are easier to adjust than their refractor counterparts, a used scope may be reasonable in this case; however, it’s always best to test a used scope yourself if possible to ensure that no damage has been done by the previous owner. This telescope provides excellent views of objects within the solar system, from the moon to planets to asteroids. It’s also ideal for viewing more distant objects, such as nebulae and galaxies. For best results, the telescope’s mirrors should be collimated to make sure that the image is reflected properly and aberrations are minimized. That process can be done at home, but those unfamiliar with how to collimate their scope may want to contact a local stargazing group for a bit of assistance the first time. SkyAndTelescope provides detailed instructions on how to align a Newtonian reflector telescope. Some purchasers have reported trouble with focusing their scopes at first. A common reason for this is the unique design of the focuser, which uses either a 2″ adapter or a 1.25″ adapter. The 1.25″ adapter will fit atop the 2″ adapter, but this will result in poor focus. Make sure that only one or the other is installed at any point. Reflector telescopes require slightly different care than their refractor counterparts. Since one end of the optical tube is open, it’s important to use a cover to prevent the build-up of dust and grit in storage. You can also help limit this by storing your telescope angled slightly downward. 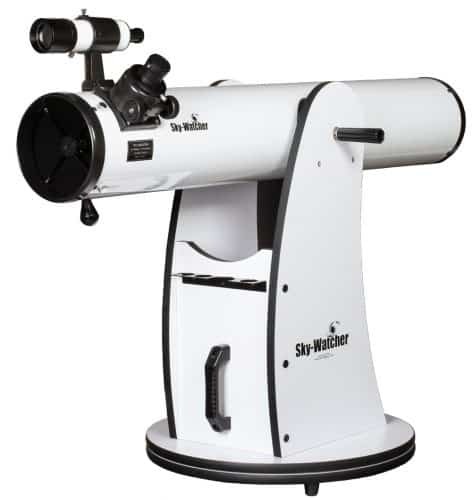 As with refractor telescopes, avoid extremes of heat and cold, which can warp your equipment, as well as using the scope in inclement weather—this will quickly cause water build up and potentially serious damage. If dust is causing visible decreases in performance, it is possible to clean the primary mirror of your telescope at home. First, however, be certain that you understand how to take apart and reassemble your telescope, and are comfortable with the process of collimation, as it will be absolutely necessary once you’ve reinstalled your cleaned mirror. The best way to clean your mirror is using plain water in a very clean kitchen sink; this will prevent the scratches that can come with wiping a mirror. Run lukewarm water over the mirror for several minutes, then follow up with a rinse of de-mineralized or deionized water to prevent mineral deposits from tap water. Stand the mirror on its edge and allow it to air dry completely before reinstalling and collimating. If you purchase your telescope new from High Point Scientific, you’ll have access to unlimited tech support, plus a 30-day money back guarantee on your purchase. 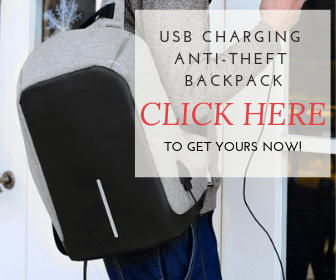 Additionally, they’ll coordinate with the manufacturer on warranty claims to make sure that you get the best possible service, repairs, and, if necessary, replacements, for your equipment. If you purchase your telescope from online retailers, you can still ask for a warranty, but you will have to contact customer service to do that. This telescope may not be ideal for those just beginning to explore the hobby of stargazing, but it is ideal for those just getting into reflector scopes. With a bit of background already under your belt and some skills at finding bright objects, it will be very easy to put this scope through its paces and spot those harder to find celestial objects that a refractor scope just can’t pick out. 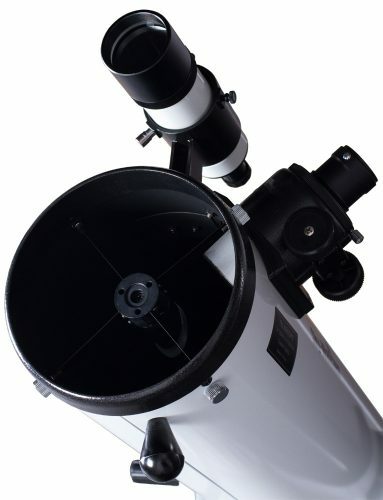 Make sure that you have a dedicated space to use this telescope, as it is large, heavy, and not particularly portable. A deck or level driveway is all you need, but you’ll want plenty of clearance to be able to take full advantage of the Dobsonian mount. 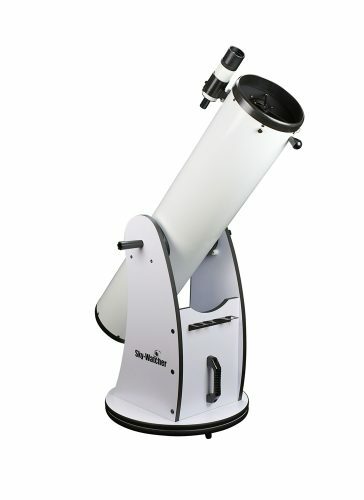 Have you used the SkyWatcher 6 Dobsonian telescope before? Share your tips, tricks, and experiences in the comments below!